A farmer who actively engages in farming can have significant tax savings by donating grain directly to charity (this is true for any agricultural commodity, but grain will be used in this example). The charity makes money by selling the donated grain and the farmer gets tax reductions greater than just donating cash. Gifts of agricultural commodities to your local community foundation would qualify for the tax reductions and help support local projects and programs that benefit area residents. Who Qualifies? Crop share landlords are NOT eligible. A crop share landlord’s share of grain is considered rent income and must be reported as such, even if the grain is gifted. A farmer must file as a self-employed person. While there are a few exceptions, make sure you discuss this with your personal tax advisor if you qualify for any of them. Most farmers don’t itemize deductions on Schedule A, and instead take the standard deduction. Thus, there is usually no tax benefit by making cash gifts to charity, unless significant. 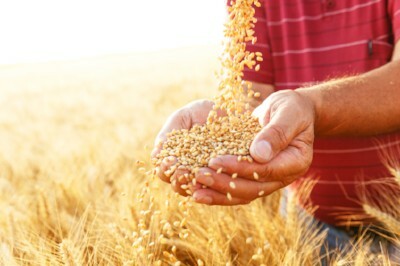 However, gifts of grain to the North Dakota Community Foundation do not have to be claimed as income to the self-employed farmer, but all expenses for growing and harvesting the grain can be deducted. A farmer does not report a donation of grain to charity, but the donation process must be done correctly. Grain must be actually physically delivered; control must be given up; and if on-farm storage is used, it would be best for the farmer to give the charity a notarized letter of transfer. Further, a farmer cannot donate contracted grain, whether in the spring with a commodity buyer, or with a local elevator to deliver a specific quantity of grain according to a price on the day of contract. The easiest way to donate grain for tax savings, is to simply deliver grain without any prior sale commitment to your grain buyer, and tell them to put a certain quantity of grain in the name of the North Dakota Community Foundation or your local community foundation. The foundation then contacts the elevator to sell the grain, NOT the farmer. A farmer cannot haul in bushels, tell the elevator to sell all the bushels, and then donate a specific dollar amount to a charity. That’s the same as a cash donation. This is the reason a farmer needs to contact his or her tax advisor how to set this up properly so as to save on income taxes. Farmer Dude never itemizes deductions, and donates 1,000 bushels of wheat to the North Dakota Community Foundation. The cost to produce this wheat is $1,000, and the proceeds from the sale by the charity amounts to $5,000. Dude deducts the $1,000 of production costs on Schedule F. No income is reported on Dude’s tax return since the foundation gets paid for the grain gifted to it. Dude does not tell the elevator when to sell the grain, the charity is required to contact the elevator to sell any gifted grain. What are the tax savings for properly gifting grain to charity? = $2,067 Tax savings, a little over 41% for something that would result in zero tax benefit with a cash donation! By donating wheat instead of selling it and then donating cash, Dude saves $2,067 in taxes, besides being able to deduct all the costs of growing the gifted grain. While the North Dakota Community Foundation will have to contact the elevator to authorize selling gifted grain, farmer Dude should receive a letter of thanks, or acknowledgment letter, from the foundation describing what was received and when. All paperwork at the elevator should have the charity’s name on it for any gifted grain, such as warehouse receipts. If farmer Dude hauls in 1,000 bushels of wheat and tells the elevator to put 200 bushels in his charity’s name, farmer Dude can only sell his 800 bushels. Dude cannot tell the elevator to sell all the grain and send a check for 200 bushels of wheat, the charity has to decide when to sell their 200 bushels. This is a very important step. That’s why this is important to be set up properly. But as shown above, it’s pretty easy. Haul in a load of grain and tell the elevator to put so many bushels in your community foundation’s name. Done. Don’t give cash, give grain. Be sure to consult your personal tax advisor to get this done the right way. The writer is on the board of directors of the North Dakota Community Foundation, which is a 501(c)(3) public nonprofit tax-exempt corporation. NDCF has 65 local North Dakota community foundations under its umbrella and can accept agricultural commodity donations for any of them.